8080- This stunning tummy control swimming costume from Tweka features soft cup support in a flattering cross over style. 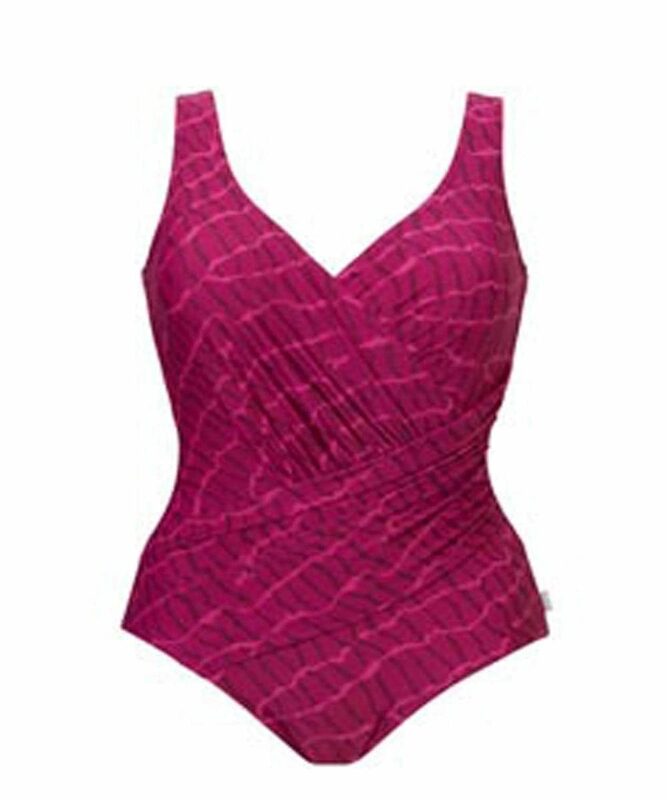 In a deep fuchsia colour this tummy control swimming costume is seriously striking. Fuchsia features firm tummy control panels for a smoother, slimmer appearance while an ultra flattering ruched, cross over front is sure to disguise any problem areas. Soft cup bust support and wide shoulder straps mean you’ll be comfortable all day long. While a mid height leg makes it fashionable enough for the beach and practical enough for the pool.